In honour of spreading good #Nuggetiquette (ie. 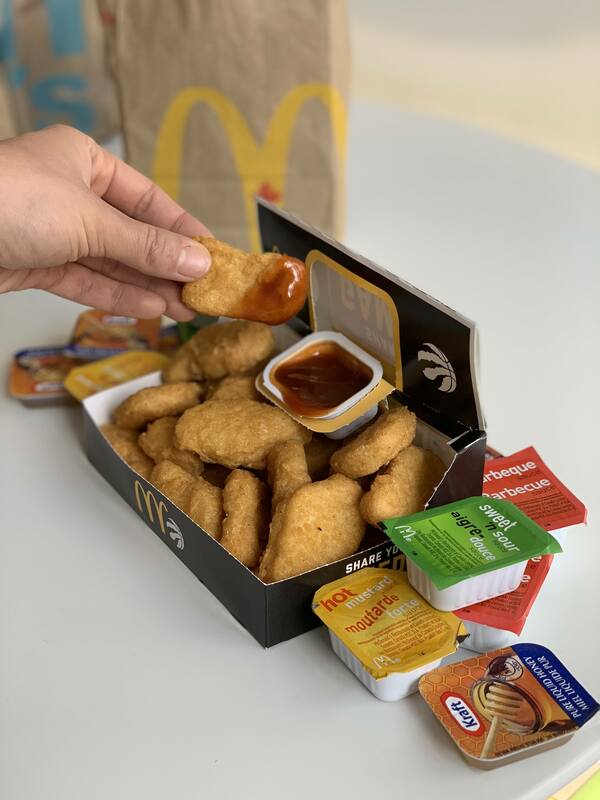 McNugget dunking habits), as well as rooting for the Raptors to win the playoffs this year, McDonald’s is launching a brand new 20-piece limited edition McNugget box with a specialty dipping section, making your McNugget dunking experience even more of a crowd-pleasing event. You had us at McNuggets. Coming in four distinct shapes (seriously, go and check), the bite-sized battered pieces of chicken are arguably the most popular menu item you’ll find on a McDonalds’ McMenu. But are McNuggets even McNuggets without dipping sauce? The answer is of course, no. If you eat yours dry, you’re not doing it right. It’s literally the law. Whether you’re into the classics like Sweet ‘N Sour, Tangy Barbeque, or if your preferences are a bit on the daring side, like Honey Mustard, Hot Mustard, or even just plain honey, everyone has their sauce of choice, and none of them are wrong. But if you’re a true sauce connoisseur, brace yourself: A new challenger is approaching on April 16 for a limited time only — Spicy Buffalo Sauce. Make way for a new fave. There’s (almost) no right or wrong way to eat McNuggets — just your way. And that’s why McDonald’s Canada created their #Nuggetiquette campaign to celebrate all the unique and fun ways Canadians eat their McNuggets. 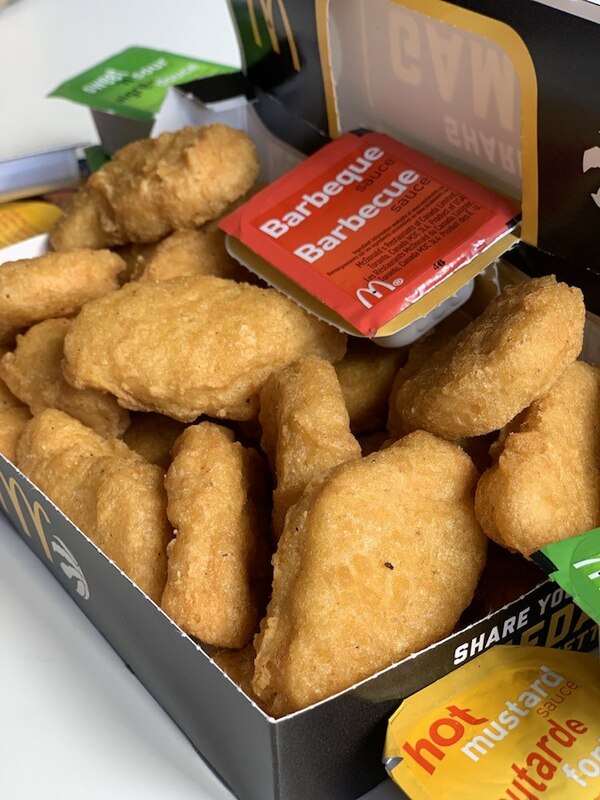 Just like there’s (almost) no wrong dipping sauce to enjoy with your McNuggets, there’s no wrong way to dunk them, either. Here’s what your dunking style says about you, and your place in the world today. If you’re a 50-50 dunker, you stand confidently with the majority of the population. You’re level-headed and balanced, with an equal amount of dunked and un-dunked McNugget to enjoy. This is the go-to dunking style if you want to get the full experience. You’re probably pretty good at giving unsolicited life advice, too. 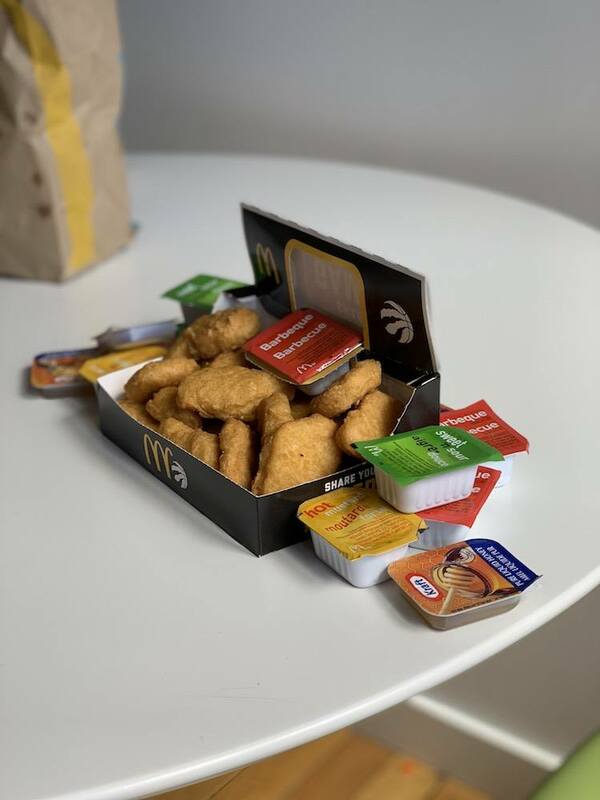 The double-triple-dipper involves dipping your McNugget in the dipping sauce for each bite you take. If you do this in private, congratulations on living your best life. If you dunk like this in shared company, we’re in awe of your ability to shed social norms in order to achieve taste perfection. We respect you, and are also a tiny bit scared of you. 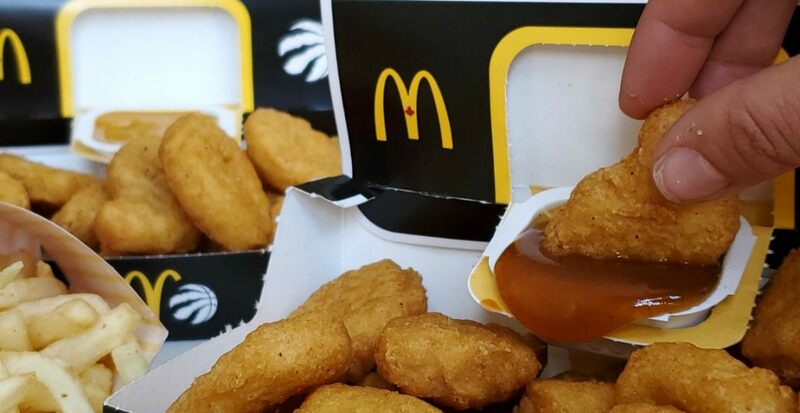 The slam dunk involves dunking the entire McNugget into your dipping sauce of choice. Do you want some McNugget to go with that sauce? If you do this, you’re definitely on the wild side, a little bit reckless, and don’t mind a little chaos in your life. You might just really like sauce, and are using the McNugget as a delicious delivery system. Rarest of all, we have The Ghost Dunk, AKA not dunking your McNuggets in any dipping sauce at all. Like we said before, what are you doing? Why did you even click this article? There’s no wrong way to eat a McNugget, but this comes dangerously close. But if you ever find yourself feeling dunk-curious, may we suggest honey? It’ll change your life. 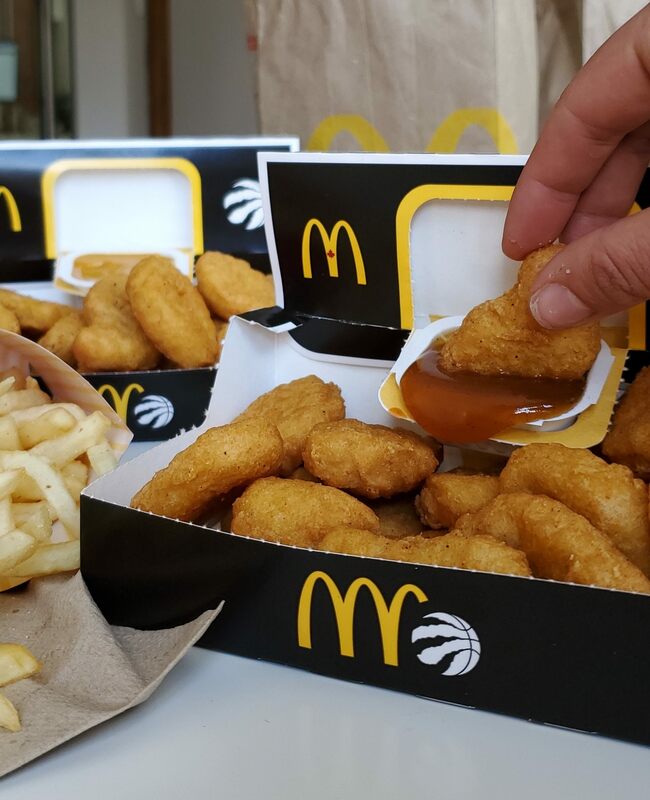 Everyone knows that a McNuggets’ best friend is fries — and you could get be getting free fries thanks to the Toronto Raptors. All you have to do is download the My McD’s app on the App Store or Google Play, and you’re set! What’s your #Nuggetiquette? Share how you eat your McNuggets today by tagging #Nuggetiquette on your social media!